Would you like to have a completely unlimited view into the cake decorating world? On-site courses can be social and fun. I've done a couple myself. But if you're just starting out, wanting to brush up on your existing knowledge or need a specific cake design to follow, online courses and membership websites are a great alternative. You don't have to leave your house! I know personally how hard it is to get out of the house when you have children, live far away from the travel provider or don't want to spend your precious time driving back and forth. You can view your class whenever, wherever (with internet access) and however many times you like. Online courses are usually cheaper than on-site courses, as the providers don't need to pay as much for materials, room hire, insurances etc. I have seen individual courses as low as US$10. Membership websites like SugarEd Productions charge a yearly or monthly fee for access to tutorials, recipes, peer and instructor support and much more. So they really are value for money. You don't have to rely on your memory. On-site courses give you one opportunity to soak up everything you see and hear, while online courses are only a click away for an instant reminder. You can access a world (literally!) of cake decorating. You are not confined to what is taught in your local area. For example, I live in Australia, and although cake decorating is gaining in popularity here, we can't boast the same diversity available in the USA. With online courses, I have access to international cake decorating. Is the delivery of the course in video or written format? Cake decorating is very visual, so for most people, video is better at demonstrating "how to", while written print-outs are handy for recipes, templates and other reference materials. Will you have access to an experienced instructor? It's all well and good having access to tutorials, but what if you get stuck? Is there someone on hand to answer your questions? This is often what sets apart the quality paid memberships and courses from the free tutorials you find on the internet. Craftsy have a fantastic question and answer panel that runs alongside the video tutorial. You can type in your question while you watch and the instructor that runs the course answers your questions. If it's important to you, check that you can easily view the classes on a portable device, such as an iPad. This is extremely helpful to me as I can set it up in the kitchen and follow instructions as I go. A good online provider will also include templates, and notes and materials summarising what you have learnt during the class. So if you are looking for some cake decorating guidance and inspiration, keep an open mind and don't dismiss the idea of online cake decorating resources instead of the more traditional option. I am a non-professional cake decorating "enthusiast". I learn from online cake decorating classes and trial and error. I love to share my knowledge and experiences with others on my fun, non-intimidating blogs and reviews. 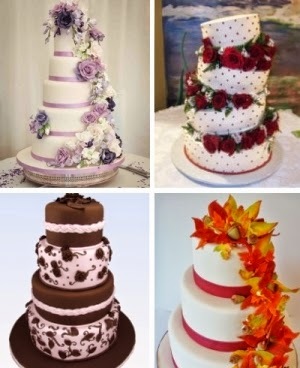 Visit my website http://www.howtodecorateacakeonline.com for some great tips, tricks and ideas.